Let’s learn what is Sarahah, the latest viral mobile app. 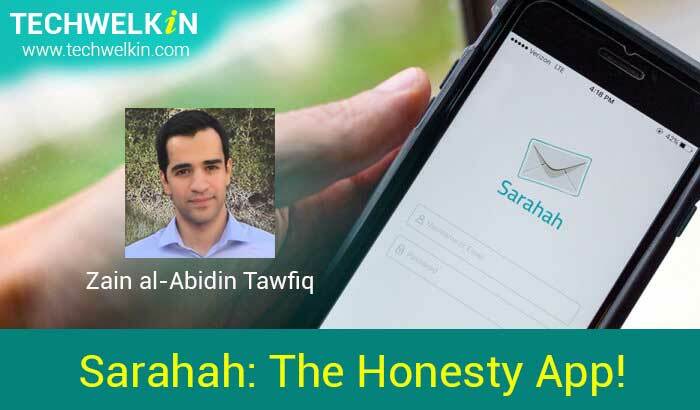 In this article we discuss the idea behind Sarahah, concept of anonymous messages and the future of Sarahah. We will also learn about the meaning of the word as well as about the person who developed the Sarahah app. Nowadays, everybody on social media is talking about a new messaging app called Sarahah. There are whispers that Sarahah could take on the established messaging apps like WhatsApp and Viber. Sarahah app allows people to send anonymous messages to other people. The basic concept of Sarahah is that it can be used to anonymously express one’s opinion about someone else. In our opinion, the app is becoming popular simply because everybody remains curious to know what other people think about him/her. We all share our opinions about others but lack of anonymity may make the opinions sound biased. Sarahah app taps into this philosophy that anonymity will ensure honesty of opinion. In this article, we will give you all the information about the Sarahah app and we will examine if this app has the potential to ride the wave it has created on social media. Sarahah is a mobile messaging app that allows users to share their anonymous opinions about other persons. Anybody can create a profile on this app. It just requires an email address. You may or may not choose to upload your photograph as part of your profile. People will be able to see your profile and send you their “honest” opinion about yourself. Other people will not be able to view your inbox — so only you would know what others have posted about yourself. You will not know who has sent you a particular message and also, at present, you are not allowed to reply to a message. As a result, you will never know who sent you a message and you will not even be able to send a reply! It’s one way traffic! As of now, the app is available in English and Arabic languages. A Saudi Arabian software developer named Zain al-Abidin Tawfiq developed this app and it has suddenly gone viral. Tawfiq says that he learnt programming from Indian teachers and Wipro, an Indian IT major, was the very first company he had worked for. What is the meaning of “Sarahah”? Sarahah is an Arabic language word and it means honesty. Why is Sarahah Going Viral? Are People Liking Sarahah? As Tawfiq said in his interview, Sarahah aims to become a channel for sharing anonymous feedback among people. He believes that under the cover of anonymity people will be at more ease and they will be able to express their honest opinion about a person or an issue. The idea of Sarahah is indeed catchy as everybody would want to know what others think of him/her. If you look at the Google Play page of Sarahah, at present, 13700 people are giving it 5 star rating while 11300 people have given it 1 star rating. These ratings might reflect that a lot of work still needs to be done in the app. At present the app is really very simple and devoid of most of the basic features. However, at the same time, these ratings might also be pointing to the fact that people don’t agree with the very concept of Sarahah. A few of our Sarahah using acquaintances have said that the idea of this app is good — but it is being used to spread hate and dirty messages. People are misusing the total anonymity provided by this app. The app was supposed to be for self improvement, however it has been used maximum to express political dissent. Can you Block Someone on Sarahah? After receiving reports of misuse of Sarahah in harassing others, the developers have now provided an option to block users. Any good service is always misused by some people, therefore, the option to block users becomes a necessity. In the past there have been instances of a service / app suddenly going viral and then dying down. Only time will tell the fate of Sarahah but at present, it is the latest fad on social media. Everybody is creating a Sarahah profile and sharing it on Facebook and Twitter in hope to receive honest opinions from friends. The quality of what people would receive will probably determine the fate of Sarahah. We hope this article was useful for you in understanding the idea behind Sarahah. Have you used the app? Please share your experience with us in the comments box given below. Also, feel free to ask any questions regarding this topic. Thank you for using TechWelkin!